Sometimes a customer comes to us with an idea and is looking to partner with us on how to design a building. 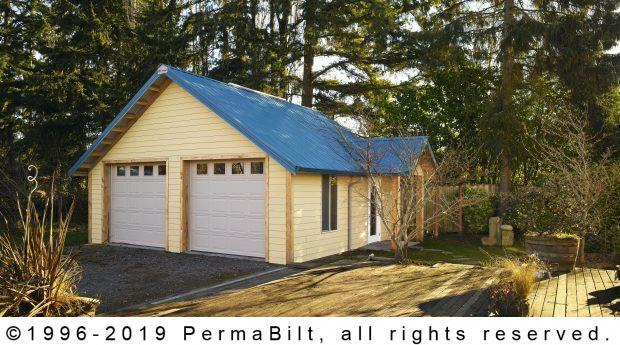 Our Snohomish customer was limited to a small lot for a two car garage. Additionally, the thought of running from his house and fumbling with his keys during a typical Northwestern downpour was not ideal for him. So he wanted to add a porch in front of his walk-in door, and with him being an artist, he enjoyed how the roof porch added an “artistic” touch to his garage. At the time, this was a novel idea and we hadn’t done before but this is what the customer wanted so we figured out a way to accommodate him. 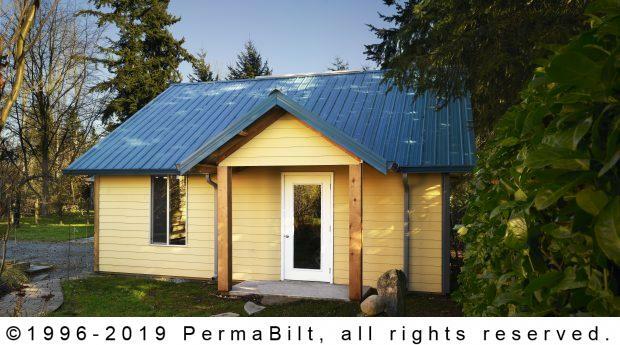 Now roof porches are a staple accessory of PermaBilt®. They are a beautiful addition to any entry way. They include 6’ x 6’ posts wrapped in cedar and are available in 3 sizes: 8’ x 8’, 10’ x 8’ and 12’ x 8’. 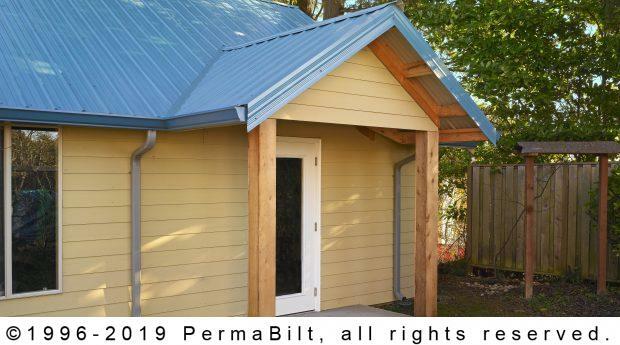 Roof porches are just another example of how PermaBilt® is always looking for ways to accommodate their customers.